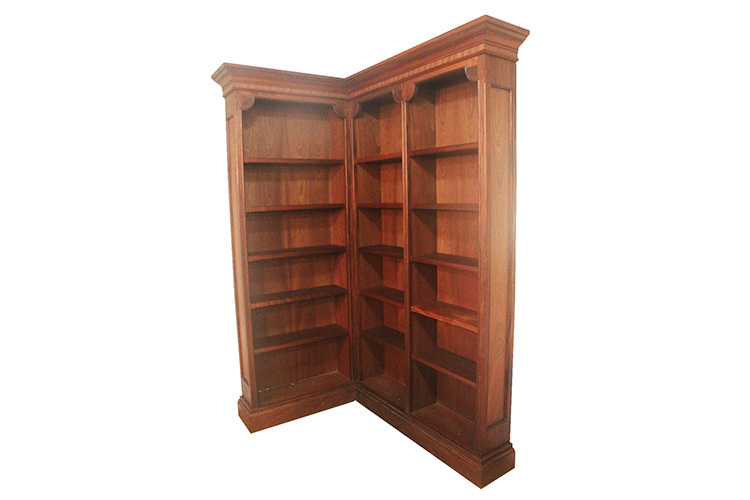 This corner bookcase was made from Sapele. The majority of the timber came from the clients old staircase, which gave the piece added sentimental value. The cornice features some decorative veneer cross-banding.